The Allen Valleys Community Website serves Allendale and the surrounding rural communities of Allenheads, Carrshield, Catton, Ninebanks, Sinderhope, Spartylea and Whitfield. Keep up to date with local events, issues and what’s happening near you. Get all the latest information on where to stay, places to eat, and things to see and do. Lions meet the needs of local communities and the world. We have more than 1.3 million members in over 45,000 clubs in 205 countries. Our cultures, members and geographic areas are different in many ways, but we share a core belief – community is what we make it. Lions are the world’s largest service club organization. Welcome to the British Isles Clubs website. Here we hope to show you who the British Isles Lions are and what they do. We have Clubs in many villages, towns and cities, which have been formed to do community and fund raising activities in fellowship and friendship. Although many clubs, such as Allendale Lions, are pleased to accept both men and women as members, there are some clubs which are for ladies only. 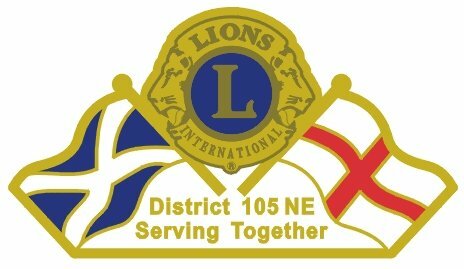 Welcome to the website for all the Lions Clubs in the North East of England and the whole of Scotland. Lions Clubs International Foundation supports the humanitarian work of Lions clubs. The Foundation aids Lions in making a greater impact in their local communities, as well as around the world. Through LCIF, Lions ease pain and suffering and bring healing and hope to people worldwide. We Give Sight. We Support Youth. We Provide Disaster Relief. We Combat Disability. We Serve. LionNet is a network of national and state level service sites called LionNet Nodes. They aim to promote the use of the Internet to members of Lions Clubs International, the world's largest service association. Many Lions clubs, districts, multidistricts and programs operate their own Internet websites; this site provides a directory of those resources. Allendale Lions Club is a registered charity (no. 1173463) and a Charitable Incorporated Organisation.